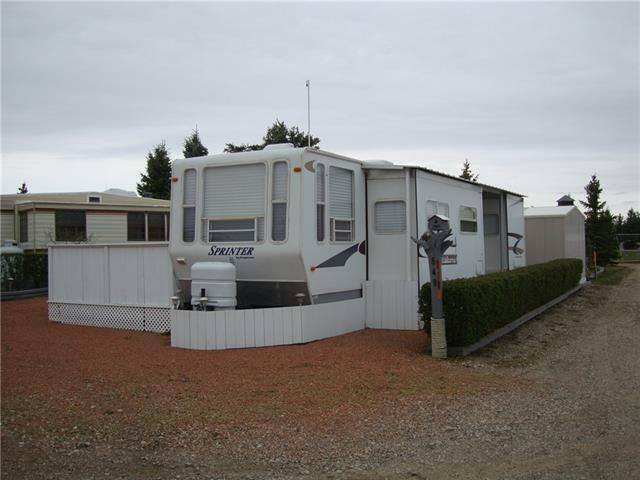 Excellent value in this immaculate 2004 - 38 foot Sprinter trailer by Keystone, that sleeps up to six people. 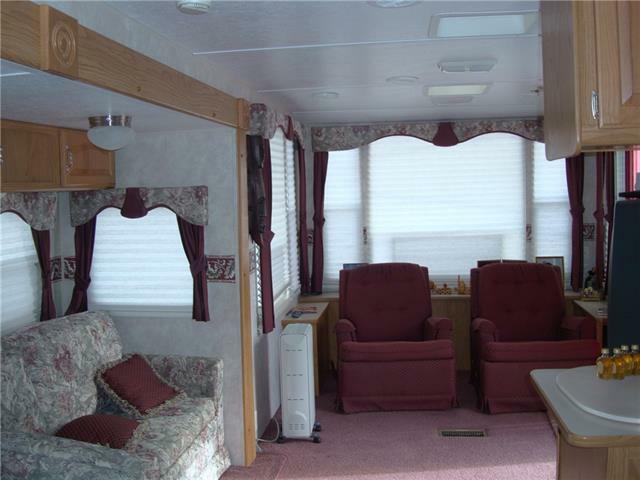 Very nice, heated and insulated sunroom with cooking area and sunny deck. 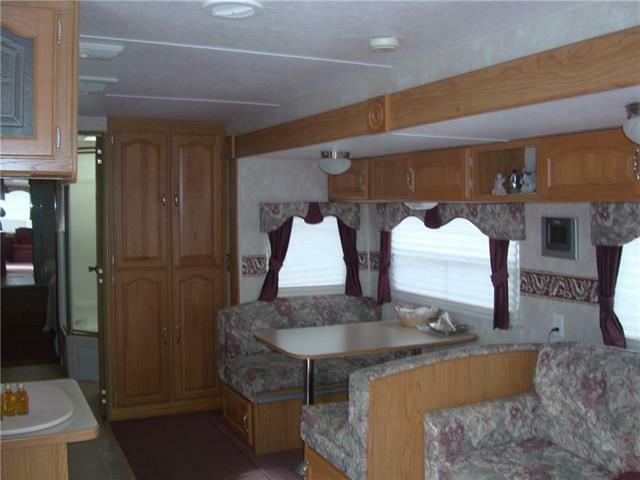 The large bedroom has a queen bed and plenty of storage. All appliances, a full size fridge, convection microwave, furniture and window coverings are included. This trailer comes with a pressurized water system and holding tanks. 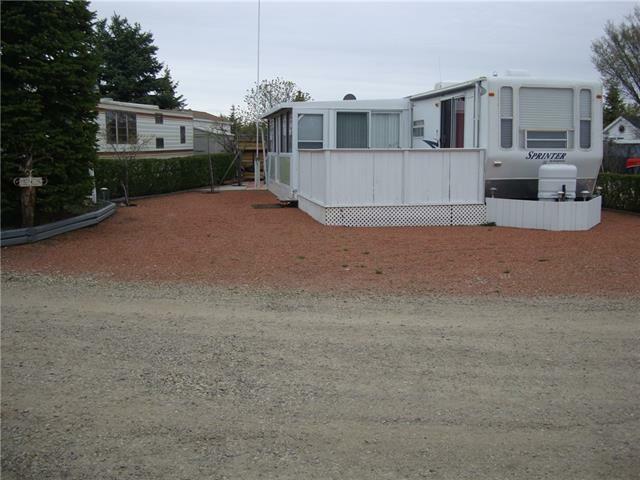 The extra large, corner lot has a private firepit area and modern shed with power. Low maintenance yard and plenty of parking for all the toys. #115 8820 Blackfoot Trail S.E.